Therefore, this research presents an analysis of the process of participatory construction of a matrix of Environmental Education (EE) indicators to measure the progress of the environmental dimension of schools. Eighty-four persons from the school community of nine state public schools located in the city of Curitiba, state of Paraná, Brazil, participated in the study. The methodological approach chosen was the qualitative approach. We used documentary, bibliographic research and participative methodologies for the production of data. The process subsidized the development and improvement of an EE matrix, which has three dimensions: management, curriculum and physical space, including ten indicators and fty descriptive questions. The participants evaluated the work in a positive way. 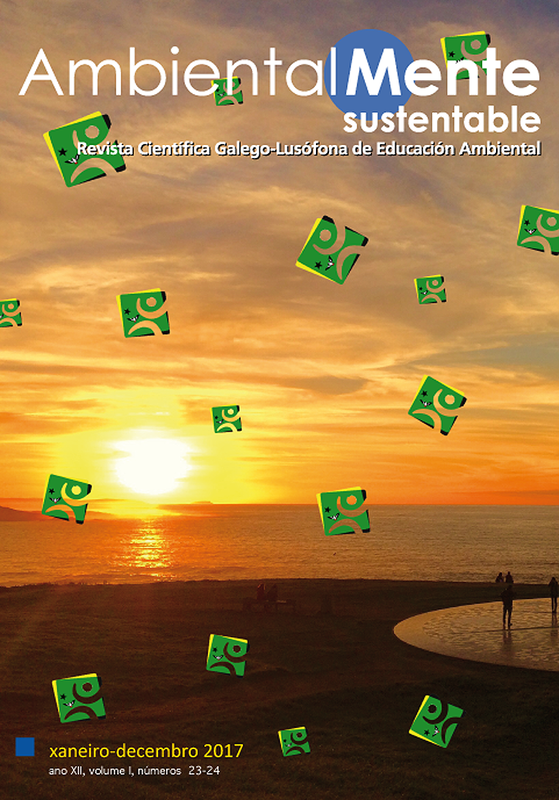 The work developed allowed re ections on the socio-environmental conditions of each school, generating knowledge of the collective work and the environmental theme from the challenge of establishing evaluation indicators. The results indicated the potential of the tool to promote a collective re ection aiming at action-re ection-action in relation to EE in the school context. ESTEBAN, G.; BENAYAS, J.; GUTIÉRREZ, J. La utilización de indicadores de desarrolo de la Educación Ambiental como instrumentos para evalución de políticas de educación ambiental. Tópicos en Educación Ambiental. n. 2, v.4, p.61-72, 2000. GATTI, B. A. Grupo focal na pesquisa em ciências sociais humanas. Brasília: Liber Livro Editora, 2012. LEFF, E. Campo controversial y en incesante construcción (Entrevista). p.41-49. In: ORTEGA, M. Á. A. La construcción del campo de la educación ambiental: análisis, biografías y futuros posibles. Guadalajara-Jalisco: Editorial Universitaria, 2012. MAYER, M. Criterios de calidad e indicadores en educación ambiental. Perspectivas internacionales […] Década de las Naciones Unidas de la Educación para el Desarrollo Sostenible. p.1-15. In: JORNADAS DE EDUCACIÓN AMBIENTAL DE LA COMUNIDAD AUTÔNOMA DE ARAGON, 3., 2006, Zaragoza: CIAMA, 2006. MINAYO, M. C. S. Construção de Indicadores Qualitativos para Avaliação de Mudanças. Revista Brasileira de Educação Médica. n.33, v.1 Supl.1, p.83-91, 2009.